Covenant is not a word to take lightly. If you say you are in covenant with someone, you’d be wise to know exactly what you are saying. It’s easy to imagine a perfect circle. You can talk about it, analyze it, and theorize about it. But, until you actually draw it, it is just an idea. How many times do we come up with great ideas and then just stop there thinking our work is done. 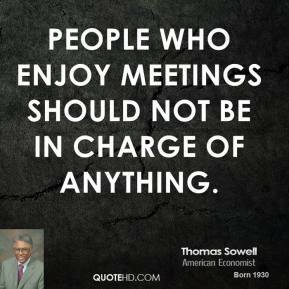 Ever been to a board meeting? It is the same with the idea of covenant. It is easy to talk about, but extremely difficult to do. Covenants are rare. Members of organizations do not enter into covenants. They can say they do until their faces turn blue, but all you have to do is observe their actions for a little while and you’ll see that it is not true. Until one is willing to become family to another, he will be in a contractual relationship, or any other kind of relationship other than covenant. Outside of covenant, before vision, before passion, and before loyalty, one is motivated by selfish desires. These selfish desires are not evil in and of themselves, they are naturally human. When these selfish desires lead one to do evil things, then they become harmful. But, how many people, who have done good and noble things, have not started out with selfish desires? One member of an organization can say he’s in covenant with another. He can say that he values the success of the other over his own. He can hold himself as an example of what healthy covenants look like. He can do all that talking, but really he is putting his own selfish desires first. And that’s okay, as long as he is honest about it. Charles Spurgeon said, “Sincerity makes the very least person to be of more value than the most talented hypocrite.” Even though one cannot be perfect in his covenant vows, if he is sincere in his actions he is a true covenant keeper. One who merely says he is in covenant, but does not act accordingly, is nothing more than a hypocrite. This is especially true for leaders. Leaders have the “raw end of the deal” in the covenant. Like God, they have to be the better, stronger member of the covenant. Like God, it is up to them to define the terms of the covenant. Our covenants with each other must image God’s covenant with us. It is a bond — Covenant members are bound together in relationship and this bond is sealed with a binding oath (sometimes verbal, sometimes by symbolic action) by both parties. No oath = no bond = no covenant. It is a bond in blood — “By initiating covenants, God never enters into a casual or informal relationship with man. Instead, the implications of his bonds extend to the ultimate issues of life and death” (pg. 7-8). James B. Jordan has pointed out that the cutting in half of the animals in Genesis 15 was not so much God saying, “Let this happen to me if I don’t uphold my end of the covenant,” but rather, the cutting in half of the animals symbolized the death and resurrection of humanity. The new life was made possible by the covenant — just like with Adam, who “died”, was cut in two, and was resurrected to find a new covenant partner waiting for him: his wife. The same happened to Jesus. A covenant bond in blood is a familial bond — a bond where one dies to his old self and is reborn as something new. It is a bond in blood sovereignly administered — “Both biblical and extra-biblical evidence point to the unilateral form of covenant establishment. No such thing as bargaining, bartering, or contracting characterizes the divine covenants of Scripture. The sovereign Lord of heaven and earth dictates the terms of his covenant” (pg. 15). Covenants often involve a weaker party and a stronger party. Who determines the conditions of the covenant? The stronger party does. This is not a master/slave relationship — the stronger party wants the weaker to prosper and is willing to expend his own resources and time to make that happen. As you can see above, covenants are no small matter, and to use the term lightly is foolish. If you can’t conform to the attributes of covenant listed above, then you can’t enter into covenant, and must not say that you have. Sometimes it is best to enter into a different type of relationship. It all depends on what the circumstances are. The important thing is to make clear the kind of relationship all parties are entering into right from the start. This will prevent any confusion and contention between the parties in the future.